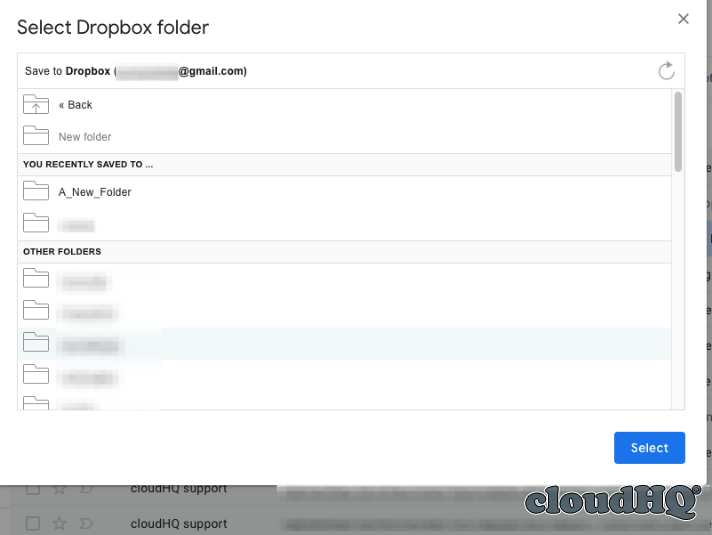 NOTE: If you want to save multiple emails as PDF to Dropbox, please check the following support note: How to save multiple emails as PDF to Dropbox. 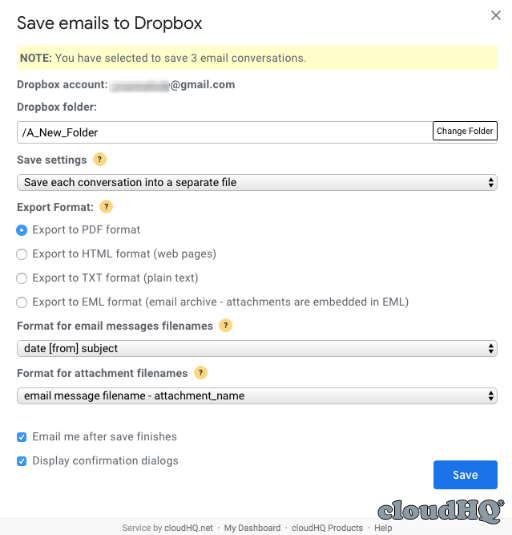 NOTE: If you want to automate saving of multiple emails to Dropbox, please check the following support note: How to automate saving of multiple emails (entire label or emails matching query) to Dropbox. Then go back to your email and click the “Save to Dropbox” button.